When your local climb makes you gasp for breath and your lungs burn, the thought of riding 20km-long climbs at over a thousand metres-high might seem rather alarming. “When air is compressed it has a high partial pressure and this helps it to pass through the lungs and into the bloodstream. At lower partial pressures, like at altitude, it takes longer for the same volume of oxygen to get into your blood,” says Craig Stevenson, Sports Physiologist and head coach at Vitfor. This explains why you might start huffing and puffing and trying to cram in air as soon you point your bike skywards. The knock-on effect of breathing air with less oxygen means that your lungs have to work harder to deliver oxygen to your muscles. “You might start breathing faster, feel light headed and you may feel the burn of lactic acid in your muscles as you cross into greater levels of anaerobic respiration – and start working above your ‘threshold’ – faster than usual,” says Stevenson. One effect of this accelerated journey into anaerobic respiration is that your blood sugar can take a nosedive, as your glycogen stores are used up more quickly. Taking on fuel, in the form of a carbohydrate drinks, gels, bars or real food, is essential and the process of refuelling should start from the get-go. It’s also vital to stay hydrated. Humidity is lower at higher altitude so sweat evaporates more quickly but it’s not always noticeable, which can leave riders dehydrated. And because your breathing rate increases to compensate for the lower volume of available oxygen, you lose more water through respiration too. Whilst the effects of altitude can be distressing the key, if you’re affected, is not to panic. “When we’re anxious we tend to breathe in the upper part of our lungs and with shallow, rapid breaths, instead of breathing deeply into the lower lungs. If your breathing is already compromised by the effects of altitude anxiety will only compound the situation. Stay as relaxed as possible and take full breaths” says Stevenson. The best way to train for riding at altitude is to go to the mountains and ride. Over time the body gets used to the lower level of available oxygen, and it adapts to become more efficient. One of the major adaptations to altitude is an increase in red blood cells, which means more oxygen can be carried in the blood and this is the main goal of altitude training. A simple way to do this is to incorporate ‘threshold focused intervals’ into your training, where you’re working at just below your threshold at zone 4, or just above in zone 5. After a warm up, a typical threshold session might be longer efforts of between five and 20 minutes at just below your threshold pace - known as your sweet spot - with neutral recoveries (easy spinning). For the more intensive VO2 (zone 5) shorter efforts, try sets like 3 x 3 minutes efforts with a 1 minutes’ rest in between. Several repeats of each of this can be done depending on how hard you want the session to be and your ability, says Stevenson. Altitude sickness, also known as acute mountain sickness (AMS) is the acute exposure to low amounts of oxygen at high altitude. It typically occurs at altitudes above 3,000m (9,800 ft) although minor symptoms occur in some people around 2,000 metres-high (6,500ft) and the symptoms are like a (very bad) hangover - sickness, nausea, headaches, fatigue and breathlessness. There’s no predicting who will be affected by AMS - neither fitness, gender or age has anything to do with it. 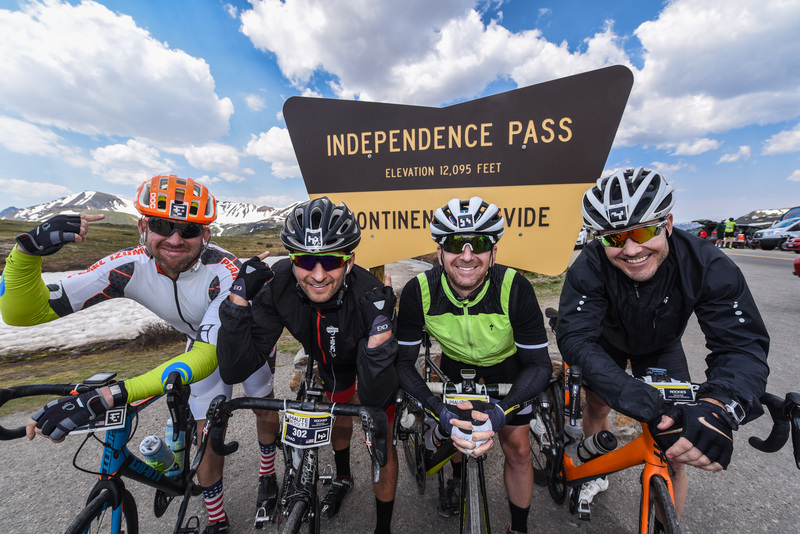 What’s more, of those affected some experience altitude sickness at a much lower altitude than others, which can make any form of cycling up high a challenge. The one and only way to counter AMS is to point your bike the other way and ride back down the mountain.